Aman was arrested for allegedly attempting to smuggle 100 iPhone X devices into India, according to local media reports. The 56-year-old man was intercepted by customs officers at the Indira Gandhi International Airport in New Delhi. He was traveling to the country from Dubai and was arrested when a search of his baggage uncovered the mobile devices, India Todayreported. 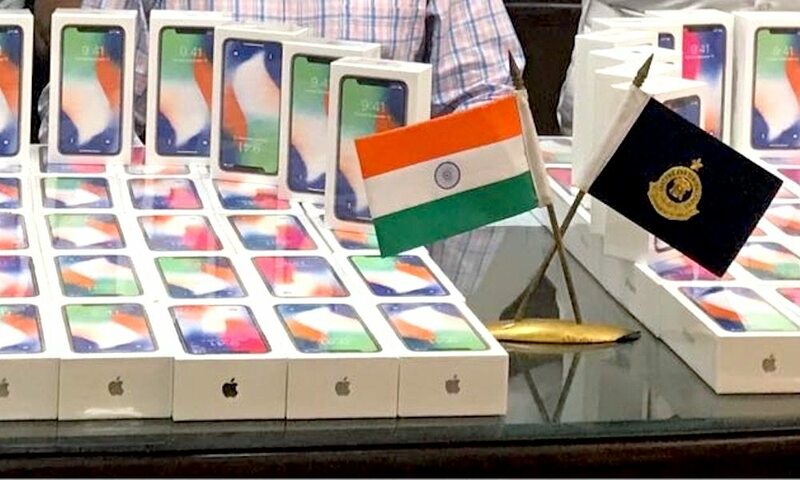 Indian customs officials indicate that the shipment of iPhone X handsets is worth about 85.61 lakhs (a unit of measurement in India representing one hundred thousand). In U.S. currency, that’s about $126,600. Agents seized the smuggled devices after an intelligence unit received reports that the man would go through customs last week. A more thorough investigation is currently underway, according to India Today. Why Would He Smuggle iPhones? The iPhone X is Apple’s latest flagship device — and is the Cupertino firm’s most expensive handset to date. But the smartphone is particularly pricey in India for a variety of reasons, including a series of recent tariff hikes and import duties on devices manufactured outside of India. Because of that, the iPhone X is quite a bit cheaper in other countries, such as Dubai. That makes buying iPhone X models abroad and smuggling them into India a lucrative endeavor. For context, the base 64-gigabyte variant of the iPhone X costs about 78,294 rupees (roughly $1,165) in the United Arab Emirates city, compared to about 95,000 rupees (roughly $1,414) in India. India is the world’s second-largest smartphone market after China and a critical region for smartphone manufacturers. But Apple only holds about 3 percent of the total smartphone market share in the country. Apple is still seen as an “aspirational brand” in India, whose devices are beyond the reach of many consumers, Reuters reported in December. According to 2016 World Bank data, an iPhone X costs in India about 20 to 30 percent of a person’s average annual income — due, in part, to the aforementioned import taxes. The iPhone X was the world’s best-selling handset through the first quarter of 2018, according to data published by research firm Strategy Analytics. Those confirmed numbers are a stark contrast to the doom-and-gloom scenario painted by many analysts and market watchers.